I spotted this on a backyard tree limb, 30 feet in the air, probably observing chipmunks and/or squirrels. Thank you for sending this to us, I will also post this on our facebook page so that our facebook followers can read and enjoy it. a "Yard bird." Enjoy and watch its behaviour. Join in and write your own page! It's easy to do. How? 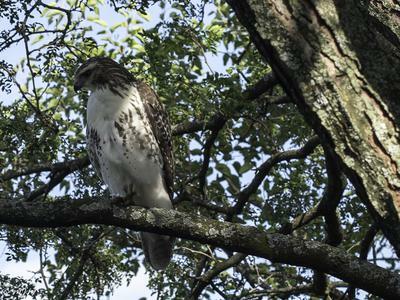 Simply click here to return to Red Tailed Hawks.